Our team can assist you in achieving your strategic objectives assessing goals, providing market insight, refining execution strategies, developing and facilitating strategic partnerships, and providing deep insight into the leadership, talent, and alignment needed to best execute on your strategy. Our strong expertise across many critical and cutting-edge areas in healthcare including personalized medicine / genomics, oncology, and risk-based models spanning health plans and integrated providers enables us to provide you with valuable insights that will help you stay at the forefront of a rapidly changing healthcare environment. We bring extensive experience in strategic partnership consulting. We can provide proven insights in assessing your partnership objectives, determining the appropriate potential partners and their strategic alignment, creating a strategy for the collaboration, aligning resources, and facilitating the discussions to accomplish your objectives. Our team of clinical and business leaders is uniquely qualified to address each necessary step to ensure the handoff from strategy to execution runs smoothly. Meyer Consulting served as strategic advisors to the Blue Cross and Blue Shield Association in the development of their precision medicine strategy. Utilizing our deep network and experience in precision medicine across both North America and Europe, Meyer Consulting services included providing insight into best practices and future trends in precision medicine, opportunities to enable best practices and executing across a federated model. Meyer Consulting served as advisors to Horizon in developing their oncology strategy for services among their OMNIA health alliance partners. Meyer Consulting services included assessment, mapping and facilitation of oncology services and strategy, working with Horizon and seven major health systems in New Jersey. 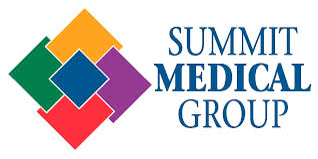 Meyer Consulting, engaged by Summit Medical Group, served as advisors on the selection of and partnership between Summit Medical Group and the University of Texas M.D. Anderson Cancer Center. This followed extensive discussions with several potential academic centers. This partnership, the first of its kind between a large independent multispecialty group and a leading academic medical center, will transform cancer care for more than 2.2m people in Summit's service area in North and Central New Jersey. 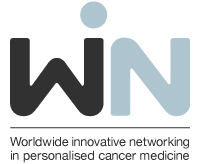 Meyer Consulting, engaged by the WIN Consortium in Personalized Cancer Medicine, served as advisors leading to the Blue Cross and Blue Shield Association becoming the Consortium's first health plan member as well as successfully negotiating for Pfizer to become a member of WIN and provide 1m Euros in funding support for WIN research.